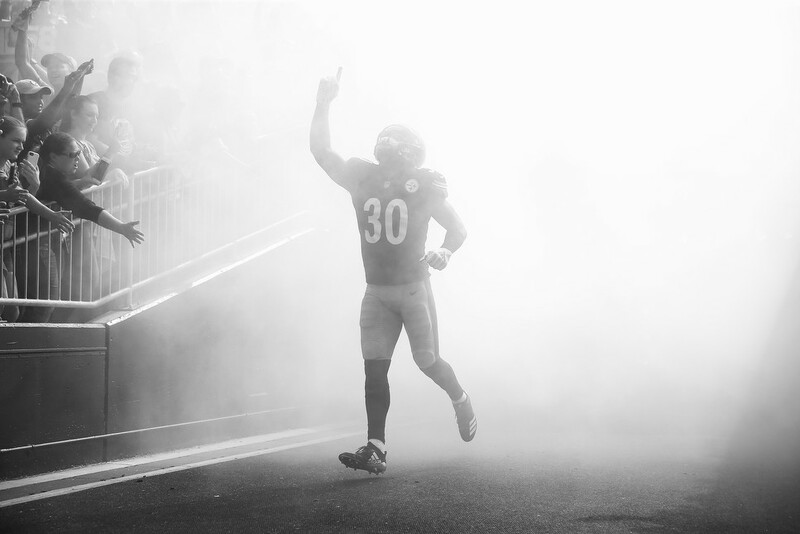 James Conner enters the field amidst a cloud of fog. 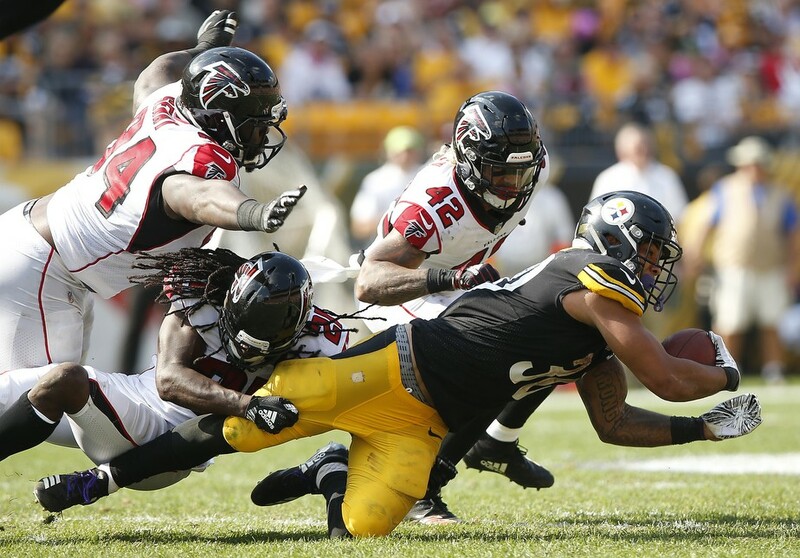 Between the 80-plus degree weather and the Steelers offense, the Atlanta Falcons' defense got scorched today at Heinz Field. 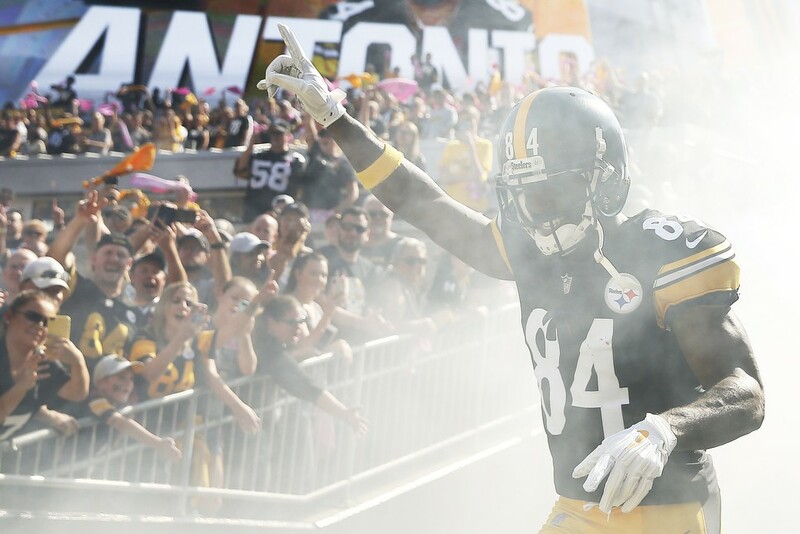 The Steelers ran up the score in the end, with a final of 41-17. 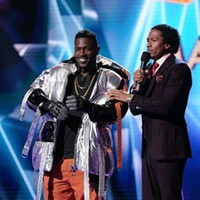 It really was the Antonio Brown/James Conner show. Conner had 185 all-purpose yards with two touchdowns. 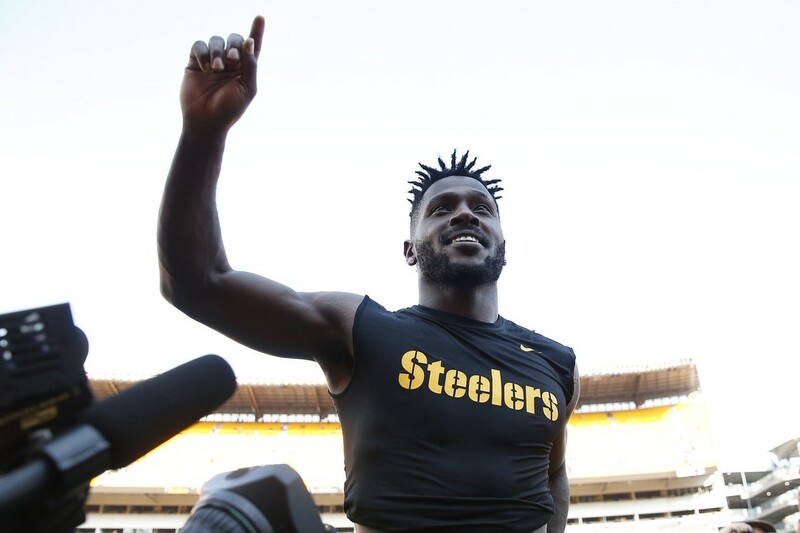 Brown added two more of his own, putting him in sole possession of second place all-time in Steelers history with 64 touchdown receptions, passing Hall of Famer John Stallworth. 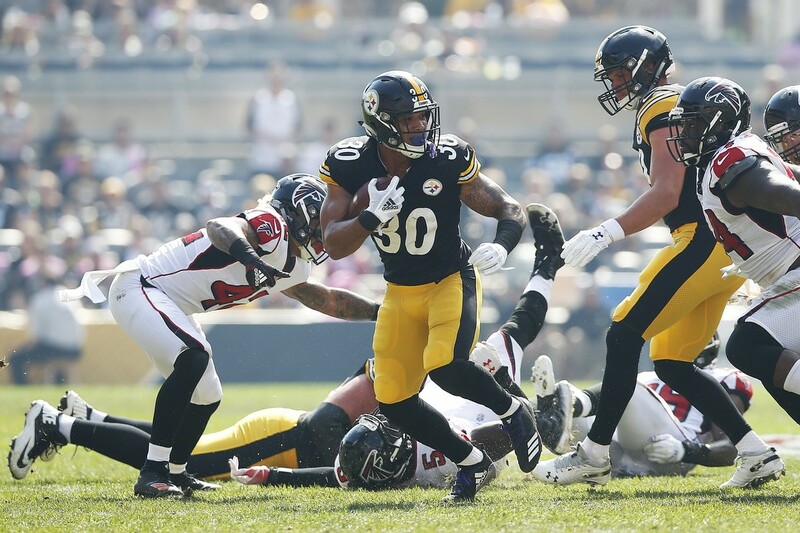 Brown is now 21 receiving touchdowns behind Hines Ward for the No. 1 spot. You could absolutely tell that Ben Roethlisberger wanted to get back on track following the team's poor performance against the Baltimore Ravens last week. After admitting to not being on the same page with any of his offensive weapons, #7 was 19 for 29 and passed for 250 yards and one interception. And as a photographer who has covered the core of this team for years, it becomes almost second nature in certain situations to predict the plays. However, it’s not hard to assume where the ball is going when Brown is covered one-on-one down the side of the field. Last, but certainly not least, congratulations to JuJu Smith-Schuster who gave birth to a football following his touchdown in the first half. Conner delivered the pigskin baby before tackling them both in joy in the end zone. Pittsburgh travels to Cincinnati next week, followed by their bye week. 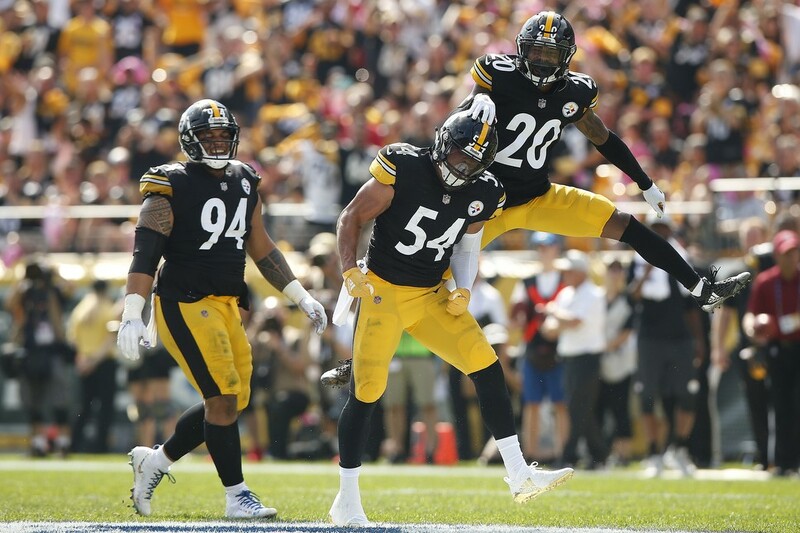 Our next game covering the Steelers also mar the potential return of running back Le’Veon Bell, who has stated that he will be rejoining the team during their bye week. 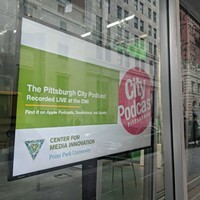 Unless television changes that game to primetime, it’s slated for 1 p.m. at Heinz Field against the Cleveland Browns. 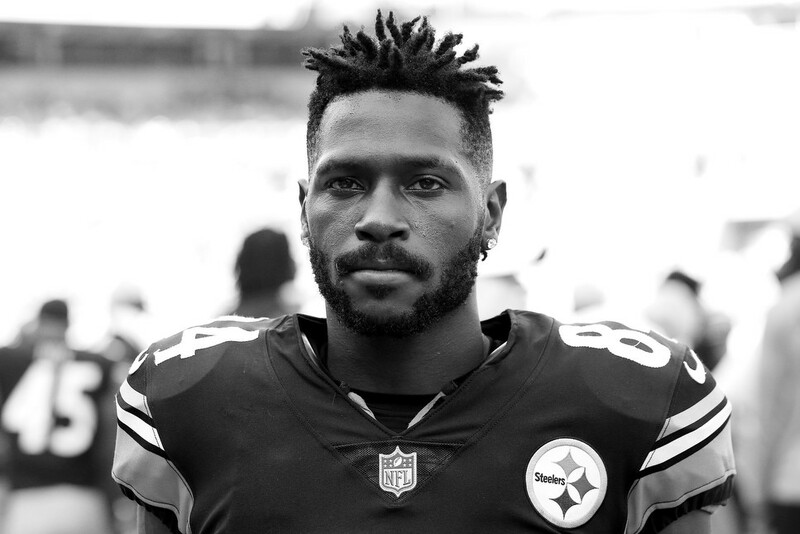 Antonio Brown is introduced before the game against the Falcons. 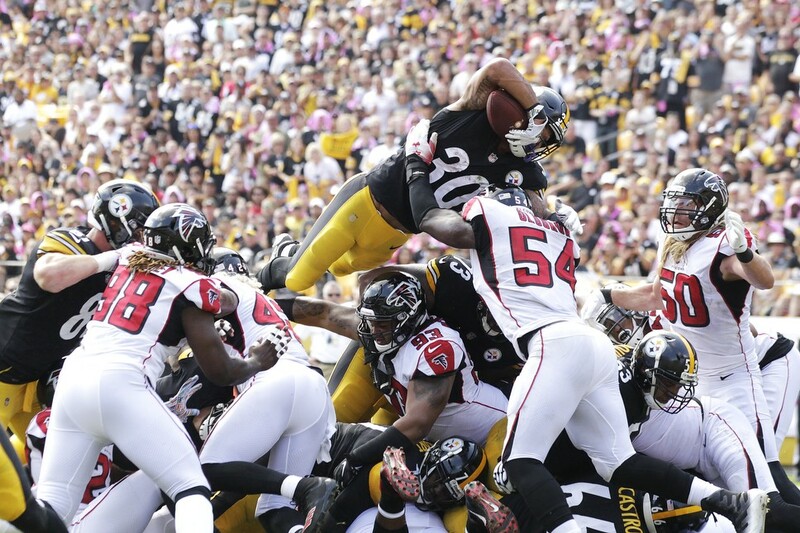 James Conner flies over the Atlanta defense for his first of two touchdowns. 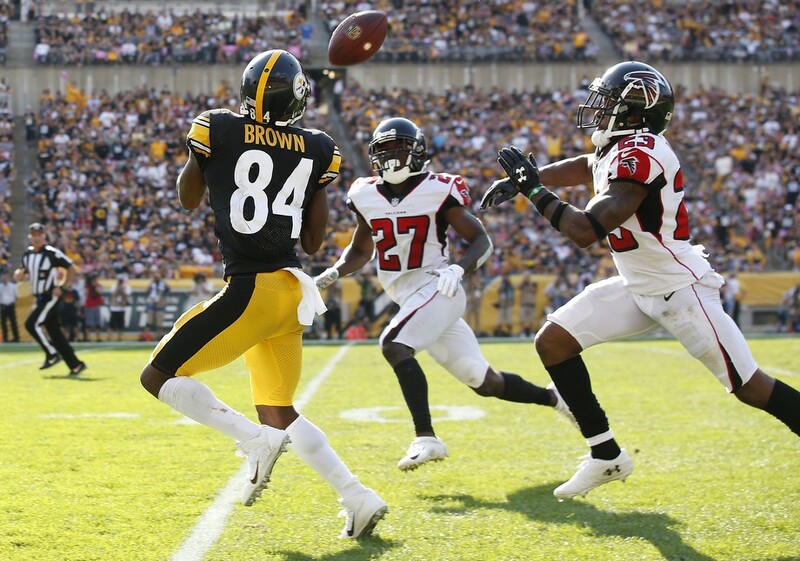 Antonio Brown's 47-yard touchdown reception that put him in 2nd place all-time in Steelers history for touchdown receptions, passing John Stallworth. Conner checks for defenders on one of his 21 carries. L.J. Fort celebrates his early sack on Matt Ryan. 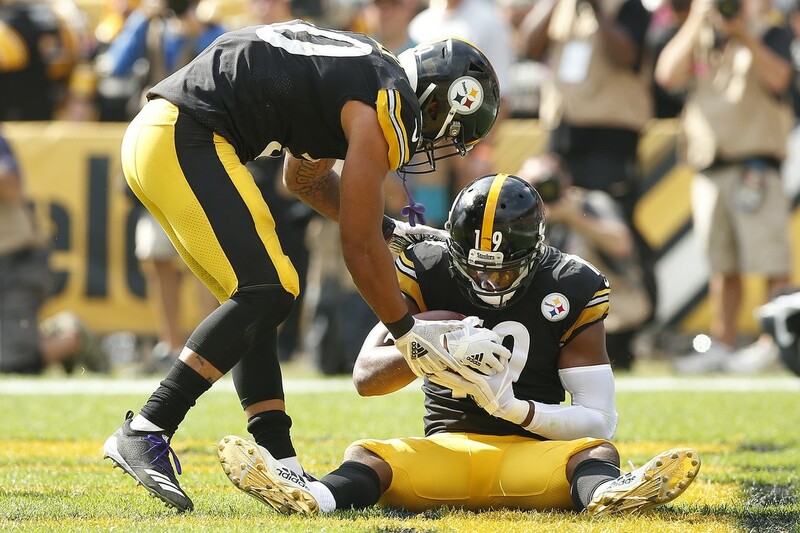 JuJu Smith-Schuster pretends to give birth to a football as his teammate James Conner delivers in in their touchdown celebration. 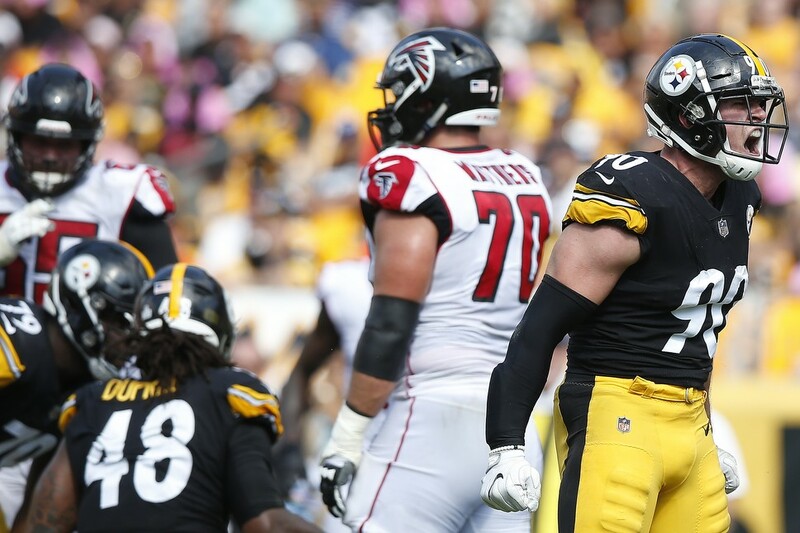 T.J. Watt reacts on a defensive stop early. James Conner was gang tackled on this run. 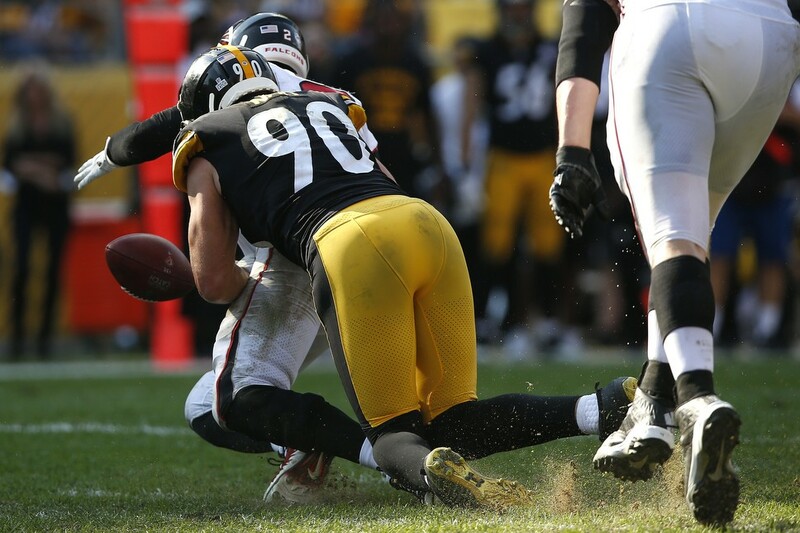 T.J. Watt with one of his three sacks, before this fumble was recovered for a Steelers touchdown. 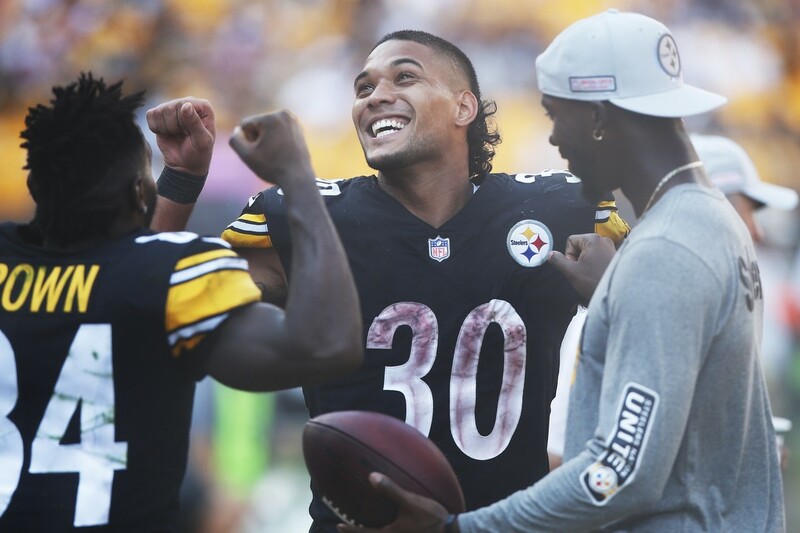 Accounting for most of the Steelers offense, Conner and Brown enjoy the game late on the sideline. 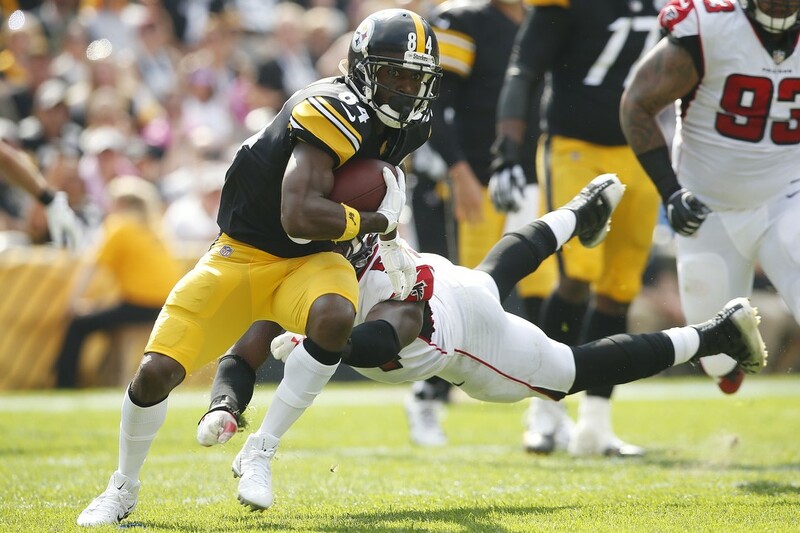 Antonio Brown showing that he was in the zone today against the Falcons. 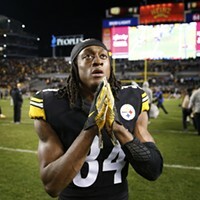 AB gestures to the fans following their 41-17 win against the Falcons.